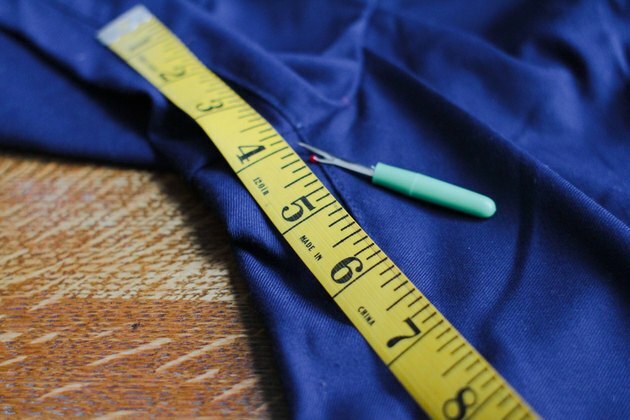 Finding the pants of your dreams two sizes too big is not the nightmare it once was if you know some simple do-it-yourself tailoring skills. 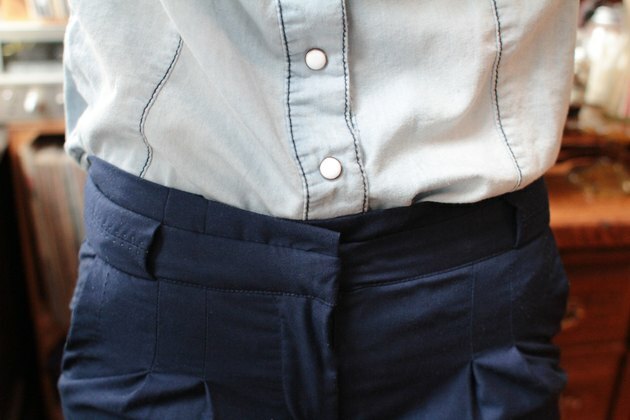 By tailoring your pants, you can adjust the leg length and width, the waist width and any of the pants' other dimensions, including the crotch. 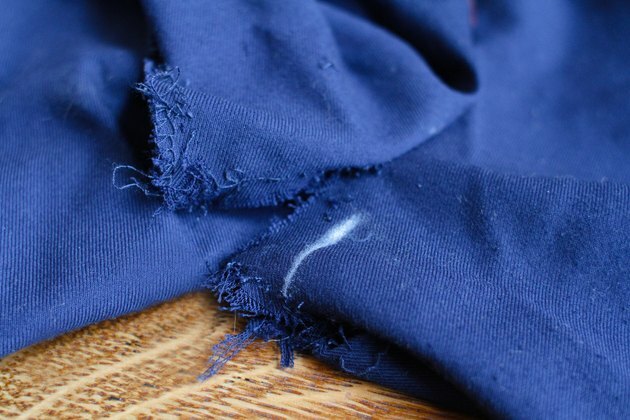 Altering the crotch in a pair of pants is just like altering the rest of the pants; all you need to do is rip out the seem and make a new one. Rip out 2 to 3 inches of the crotch seam of the pants on each side of the inseam. Rip out 6 inches of the pants' inseam. Mark on the pants where you estimate the new seam should be. Use the edge of the current seam as your guide. 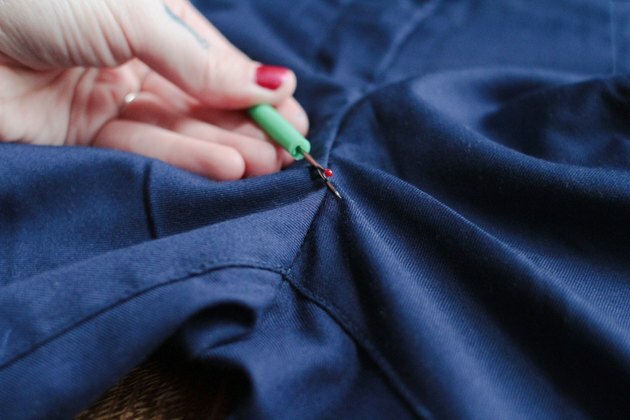 Pin the pants along the seam marking. 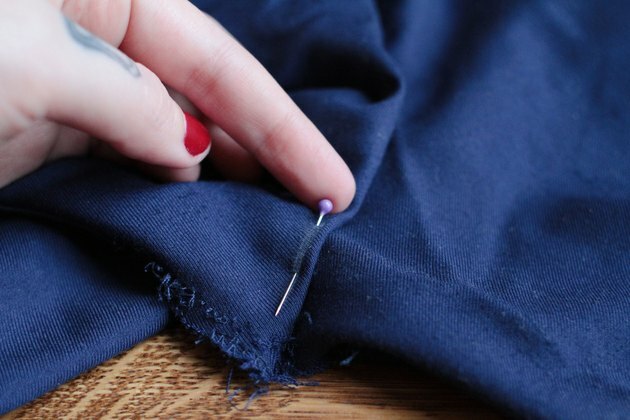 Baste the seam with the needle and thread and remove the sewing pins. Try on the pants with the new crotch seam. If more adjustment is needed, repeat Steps 3 through 5 until the pants fit correctly. 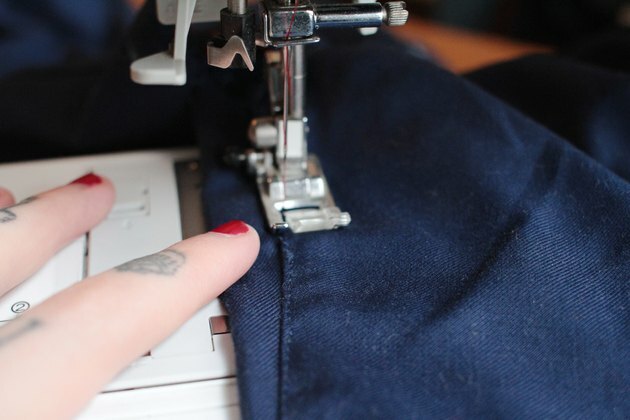 Stitch the pants' inseam with the sewing machine. The inseam should follow the same line it did before the crotch alterations. Stitch the new crotch seam with the sewing machine. The crotch seam should be stitched twice; once along the cut edge of the seam and once 1/8 inch away from the cut edge. 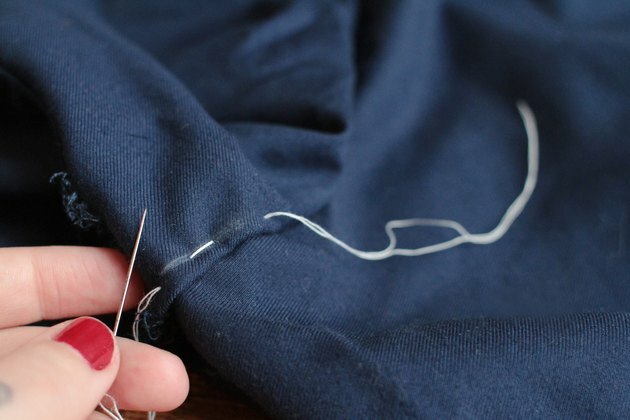 Each line of stitching should be back stitched at its beginning and end. 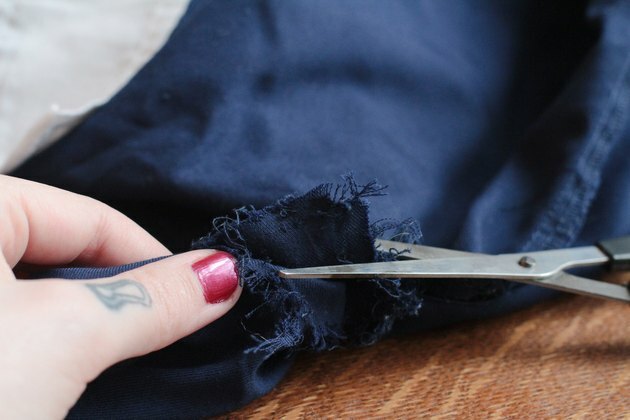 Turn the pants inside out and cut away any excess fabric.